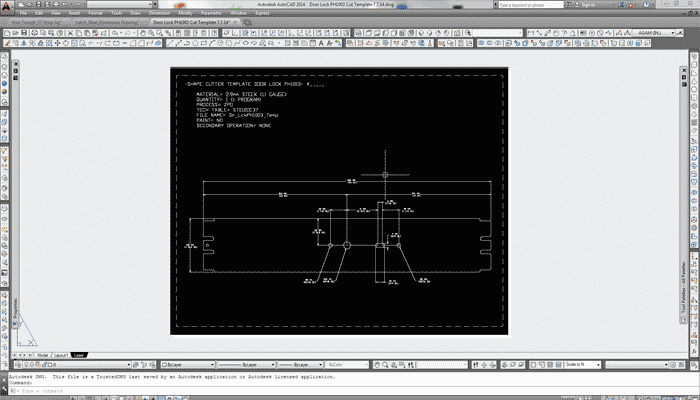 The Copy Router is used to mill slot(s) on the face of an extrusion using a template. This allows AGAM to repeatedly produce parts to the same spec. 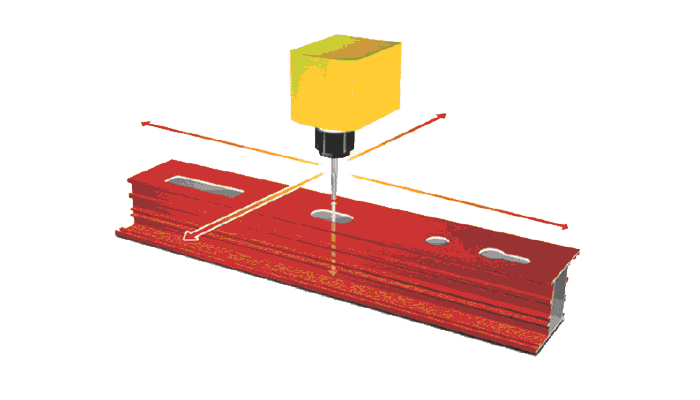 A typical template for milling key holes on an extrusion face. The tool can travel 314mm (12.4″) on the X axis, 120mm (4.7″) on the Y axis, and 175mm (6.9″) on the Z axis. 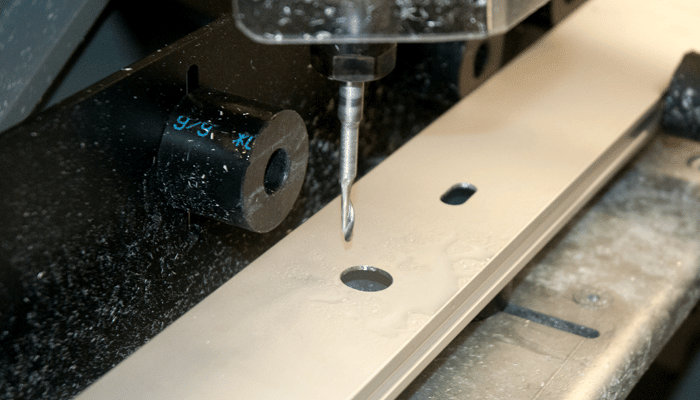 The milling head rotates at 10,000 rpm. 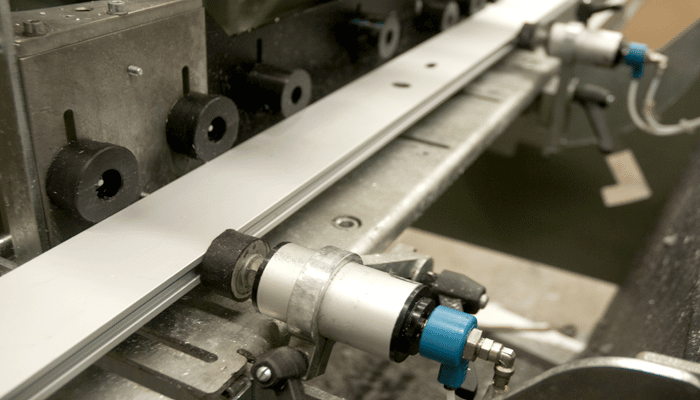 The machine uses pneumatic clamps to hold the extrusion in place, and a spray mist coolant system to ensure proper lubrication during the routing process. 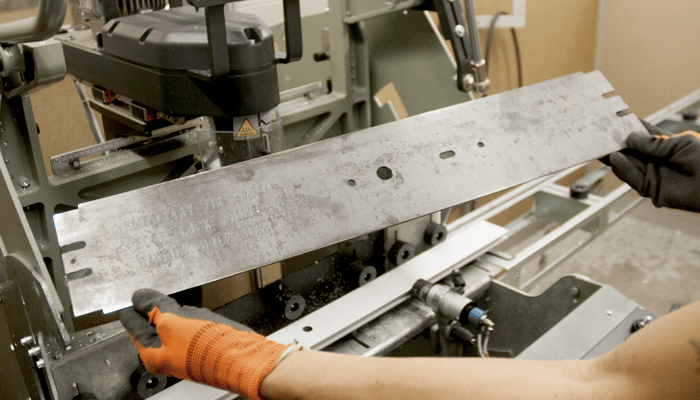 A ‘finger’ follows the pattern of the template, and a cutting head will duplicate such patterns on the extrusion. If the need for a new/custom template arises, Agam’s industrial designers will design, engineer, and fabricate the template using the Laser Cutting Center.